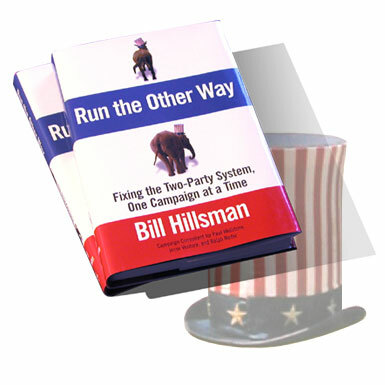 Bill Hillsman has masterminded some of the most effectve and innovative election campaigns of recent years. Hillsman first rocked the political world when he helped elect the late Minnesota Senator Paul Wellstone in 1990 in one of the biggest political upsets in decades. He later shocked everyone by helping Jesse Ventura become Governor in 1998. When he joined Ralph Nader during the 2000 election, his inventive campaign, created on a tiny budget, had the whole country talking and rethinking how we sell our politicians. Hillsman maintains that our current party-dominated political system works very well for everyone except two groups: candidates and voters. His ultimate goal is not just to revolutionize political campaigns, but also to end party politics as we know it. He believes that the days of two-party political industry are gone, and that it is just a matter of time before a third-party president is elected. Given his unerring instincts, this is essential reading for everyone interested in the future of American politics. With a cast of characters that includes Colin Powell, Ross Perot, Donald Trump, and Warren Beatty, Run The Other Way is an eye-opening and acutely funny book - an insider's exposé written with an outsider's honesty. The book is available everywhere beginning April 6th. If you can't find it at a local bookstore go to Amazon. Bill Hillsman is CEO and chief creative officer of North Woods Advertising. He has provided commentary on marketing, advertising, and politics for The New York Times, Today, CNN, and C-SPAN, among others. He lives in Minneapolis, Minnesota.